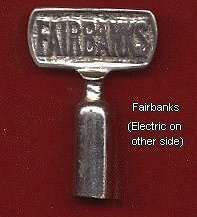 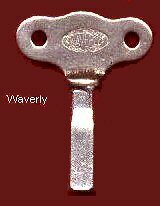 Banjo Wrenches, Wrenches, Fairbanks, Ludwig, Ditson, Paramount, Vega, Gretsch, Slingerland, etc. 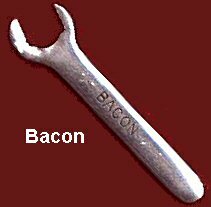 c1920s Bacon banjo Company wrench, excellent condition, fits 5/16ths" hex or square nut, $150. 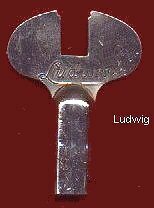 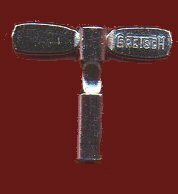 Late, c1940s Gretsch Banjo Company wrench, excellent condition, fits 5/16ths" hex nut, $100. 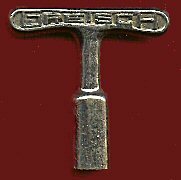 Early, c1920s Gretsch Banjo Company wrench, nickel plated, excellent condition, fits 5/16ths" hex nut, $250. 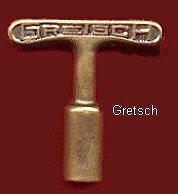 Early, c1920s Gretsch Banjo Company wrench, unplated brass, excellent condition, fits 5/16ths" hex nut, $250. 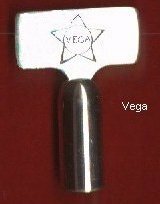 Vega, 1930s, fits 9/32" hex nut, see Ebay. 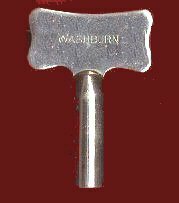 Washburn, early 1900s, fits 5/16" hex nut, $250. 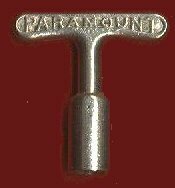 Heavy cast brass with scroll handle, 5/16" hex, (unplated), $200. 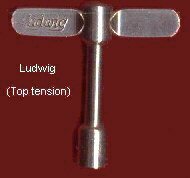 Heavy cast with scroll handle, 11/32" square, $200.